Models are stitched on 32ct Dirty Belfast linen. Each design is 50w x 50h. 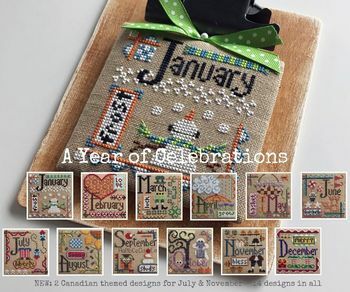 Extra designs for July and November are included for Canada.